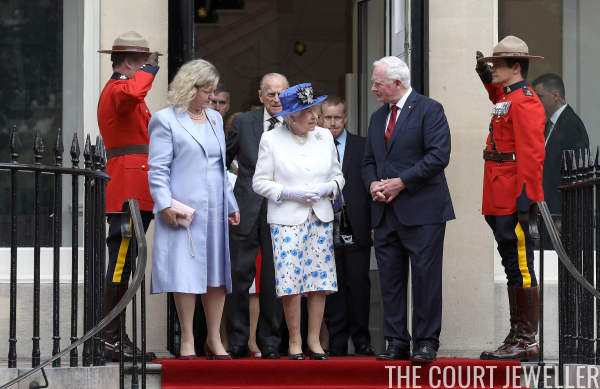 A New Canadian Brooch for the Queen! 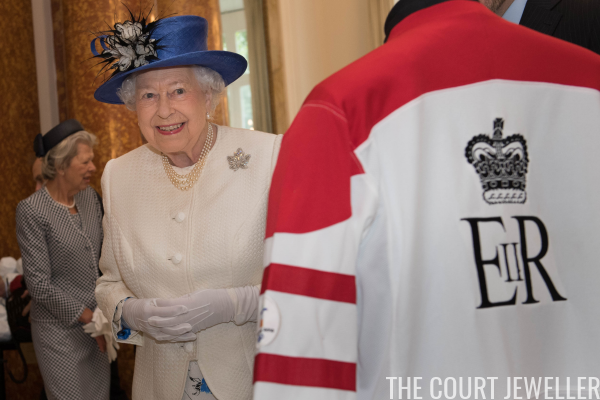 Queen Elizabeth II, Canada's monarch and head of state, made a visit on Wednesday to Canada House in London, part of the ongoing celebrations of the 150th anniversary of Canada's confederation. 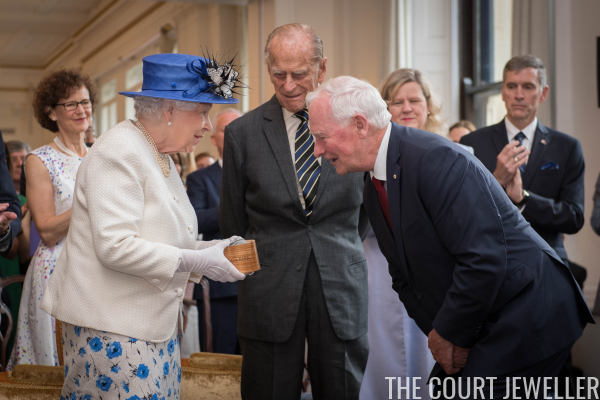 The Queen and the Duke of Edinburgh were hosted by Canada's Governor-General, David Johnston, who will be stepping down from his post this autumn. At the event, though, the Maple Leaf Brooch wasn't the only piece of sparkling jewelry in attendance. 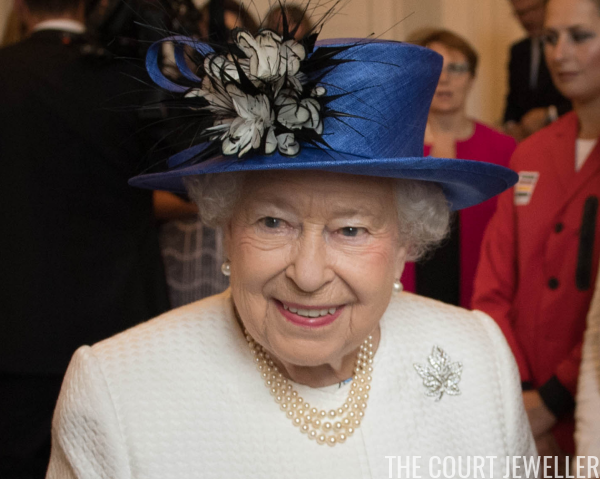 Johnston presented the Queen with a brand-new piece of jewelry to commemorate her Sapphire Jubilee. The Sapphire Jubilee Snowflake Brooch is made with a cache of Canadian sapphires found in 2002 on Baffin Island by a pair of brothers, Seemeega and Nowdluk Aqpik. The piece, which was made by the Saskatchewan jewelry firm Hillberg and Berk, was designed as a companion to the Maple Leaf Brooch. The Snowflake Brooch joins a growing collection of Canadian royal brooches, which includes the Queen's Saskatchewan Tourmaline Brooch and the Duchess of Cambridge's Polar Bear Brooch.